www.womenshealthofmd.com (Glen Burnie) - Book Appointment Online! 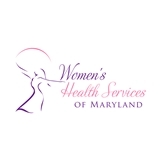 Women's Health Services of Maryland is the premier obstetrics, gynecology and women's health services provider in Anne Arundel county, Glen Burnie and Baltimore area. Dr. Dinc offers a comprehensive list of services ranging from obstetric/prenatal care to complex minimally invasive gynecologic surgeries, treatment of pelvic floor disorders as well as minimally invasive cosmetic surgery and skin rejuvenation. Practice offers convenient late hours till 8 PM on Wednesdays and weekend hours on Saturdays. Awesome doctor, was in and out of there and all the staff are very kind and respectable! I highly recommend going to this doctor!????? ?